It’s officially October so no matter who you’re talking to, they can’t deny that it is all about pumpkins, the sound of crunchy leaves, cozy knit sweaters and everything fall-related! 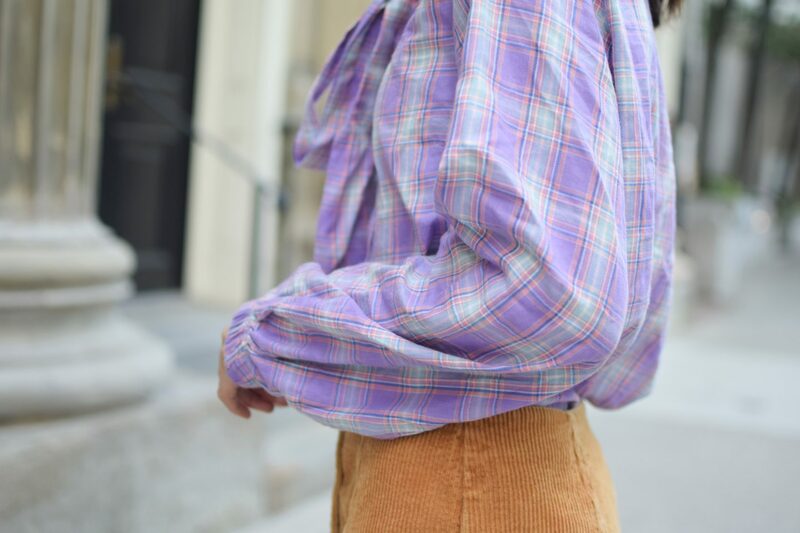 If you’ve been following my blog for a while, you probably know that I wear the typical fall colour palette which isn’t a bad thing but I’ve slowly been trying to introduce more colour into my fall/winter wardrobe. I will admit, I’ve been more successful with my winter wardrobe than fall but it’s progress! Corduroy is one of my favourites to wear. Whether that be corduroy overalls, jacket or skirt, it’s definitely a go-to fabric I love to buy when it comes to fall. It gives more texture to an outfit versus a faux suede look. This one from Forever21 is definitely a classic that you can find anywhere. I do need to replace the one that I have (it’s too short on me now) but it’s definitely a classic fall piece you can wear every year! Wearing your typical fall prints in different colours is an easy way to stay on trend! 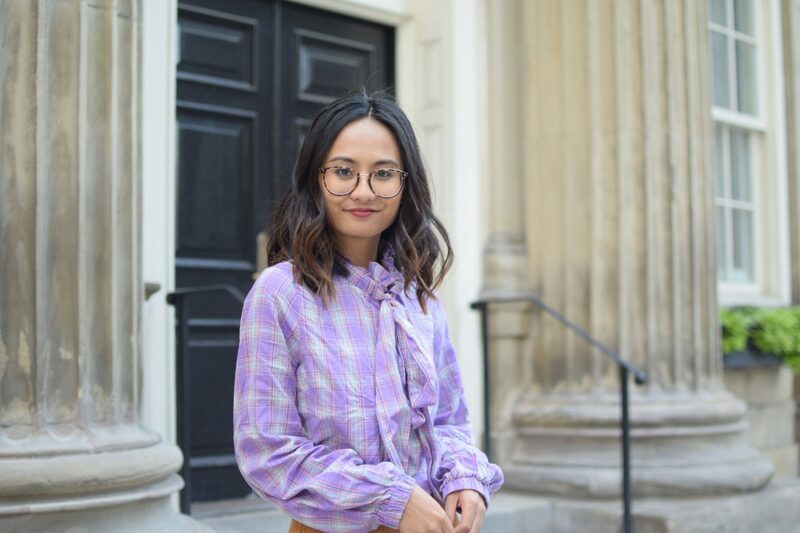 Luckily for everyone, wearing checked prints in different colours like this plaid shirt from SheIn is on trend and has a very Clueless vibe to it. You can find coloured checked blazers, matching sets and skirts everywhere in-stores now! You can still have a very bold look for the fall! I purchased this coat from Topshop last year and this was the first time I wore it out. 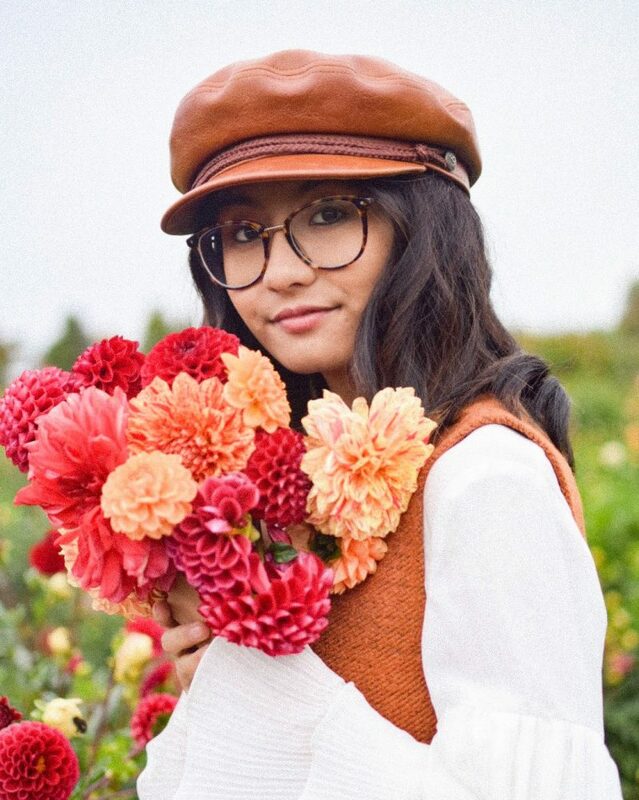 I decided to make it more fall-like by pairing it with a warm orange turtleneck sweater that I got from a MUJI preview a couple of years ago. 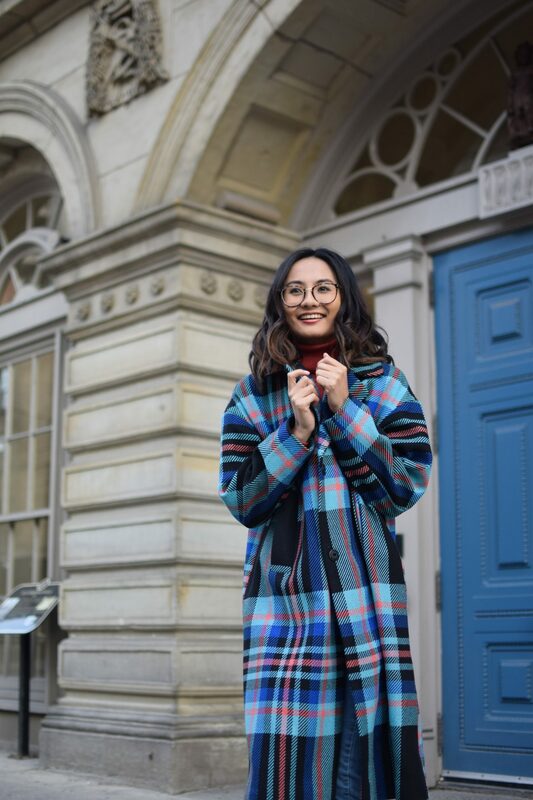 It matched perfectly with the colours on the plaid coat and again, this type of print and colour combination is huge for fall/winter this year! How do you wear colour in autumn? Let me know in the comments below! Disclaimer: Part of this post is sponsored by SheIn and therefore contain affliate links.